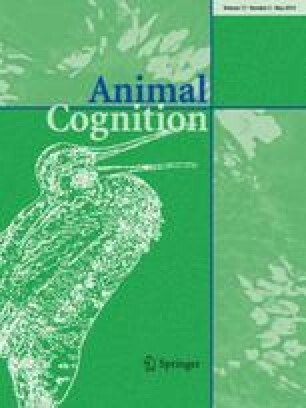 Understanding animals’ spatial perception is a critical step toward discerning their cognitive processes. The spatial sense is multimodal and based on both the external world and mental representations of that world. Navigation in each species depends upon its evolutionary history, physiology, and ecological niche. We carried out foraging experiments on wild vervet monkeys (Chlorocebus pygerythrus) at Lake Nabugabo, Uganda, to determine the types of cues used to detect food and whether associative cues could be used to find hidden food. Our first and second set of experiments differentiated between vervets’ use of global spatial cues (including the arrangement of feeding platforms within the surrounding vegetation) and/or local layout cues (the position of platforms relative to one another), relative to the use of goal-object cues on each platform. Our third experiment provided an associative cue to the presence of food with global spatial, local layout, and goal-object cues disguised. Vervets located food above chance levels when goal-object cues and associative cues were present, and visual signals were the predominant goal-object cues that they attended to. With similar sample sizes and methods as previous studies on New World monkeys, vervets were not able to locate food using only global spatial cues and local layout cues, unlike all five species of platyrrhines thus far tested. Relative to these platyrrhines, the spatial location of food may need to stay the same for a longer time period before vervets encode this information, and goal-object cues may be more salient for them in small-scale space. We thank the Uganda Wildlife Authority and the Uganda National Council for Science and Technology for permission to conduct this research, and methods were approved by the McGill University Animal Care committee. We are also grateful to Dennis Twinomugisha, Patrick Omeja, Lauren Chapman, Matovu Ponsiano, Maxine White, Jan Gogarten, and Jessica Rothman, who provided assistance both in and out of the field. Paul Garber provided valuable advice at the beginning of this study, and this manuscript was improved with helpful comments from Amanda Melin. Two anonymous reviewers improved the quality of this manuscript. Funding was provided by the Natural Sciences and Engineering Research Council of Canada.